The Bay Area strike is one of a series of nationwide one-day strikes -- timed for Labor Day and the 50th anniversary of the historic civil rights-era March on Washington for Jobs and Freedom. 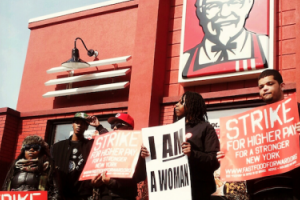 The strikes are the culmination of months of fast-food walkouts that began on the East Coast, organized by New York-based grassroots movement Fast Food Forward, and have rippled across the country. The ongoing organizing effort of fast-food workers has highlighted the highly exploitative conditions faced by those at the deep fryers and cash registers of America’s most profitable fast food outlets, which include Burger King, McDonald’s, Dominos, Pizza Hut and KFC. 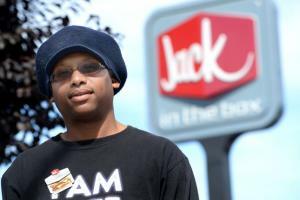 The actions and considerable media attention has also begun to chip away at the conventional image of a fast-food worker as someone who bears her servitude with a youthful grin.